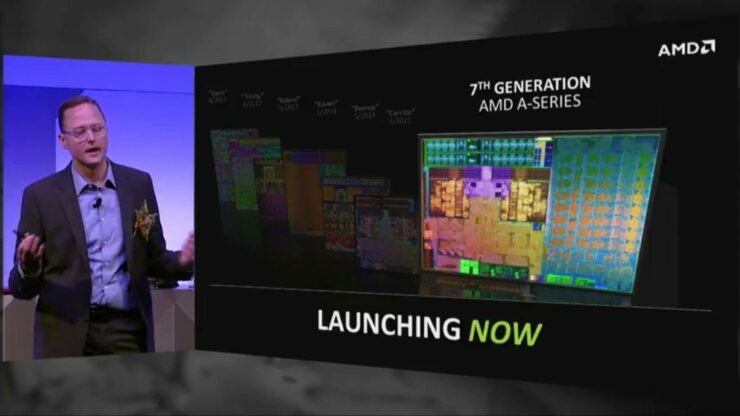 AMD has officially launched their latest Bristol Ridge processors for a new generation of mobility platforms. 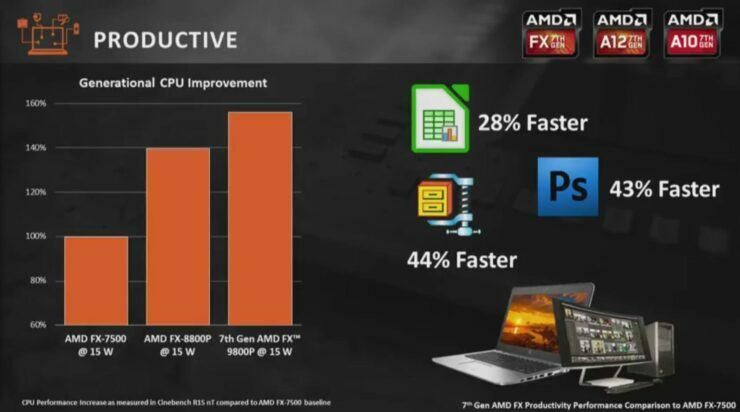 The new processors are part of AMD’s 7th generation A-series APU family which will be available on FP4 platforms which includes laptops, notebooks and a many more mobile products. 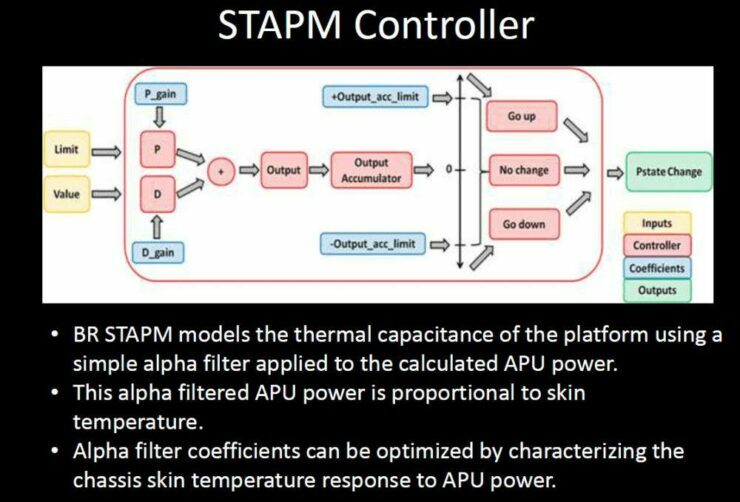 The APU family will power a range of new products while being based on a fine tuned 28nm process node which has its DNA from last year’s Carrizo APU. AMD has officially launched their next-generation Bristol Ridge APUs for mobility platforms! 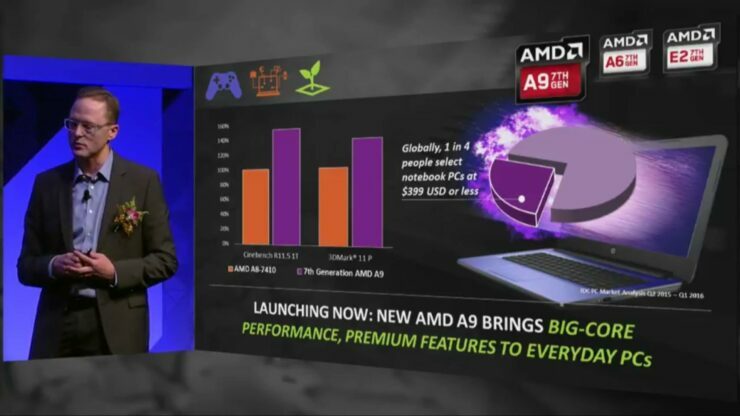 Today, AMD is launching their mobility platform first which would soon be followed by the full fledged desktop platform. 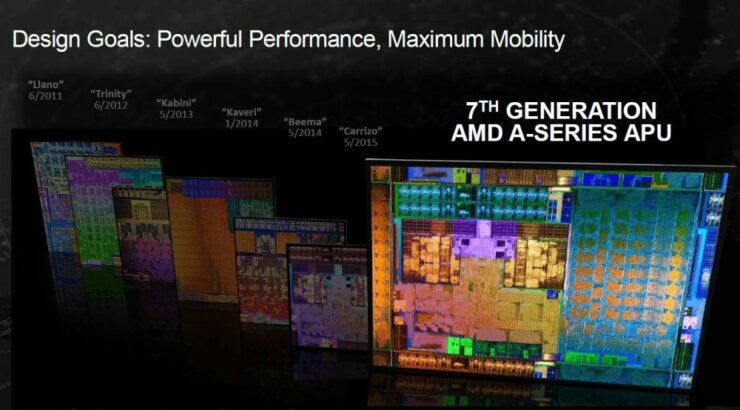 The mobility APUs will be featured in several laptops ranging from low-power to high-end solution. All solutions will feature the latest AMD Radeon M400 series mobility graphics chips. 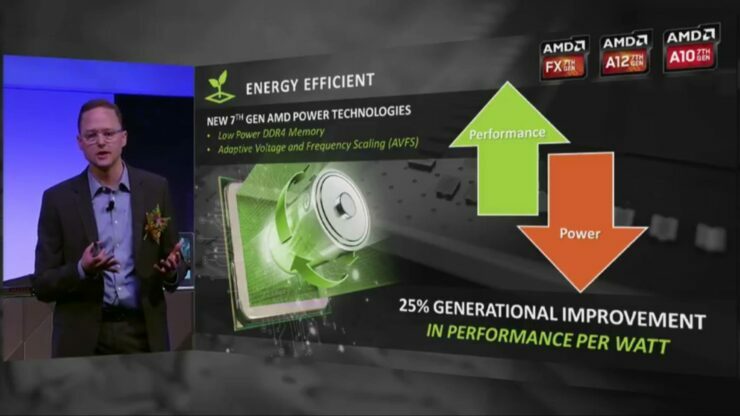 These next generation APUs will be delivering higher battery life and faster performance with an updated architecture. 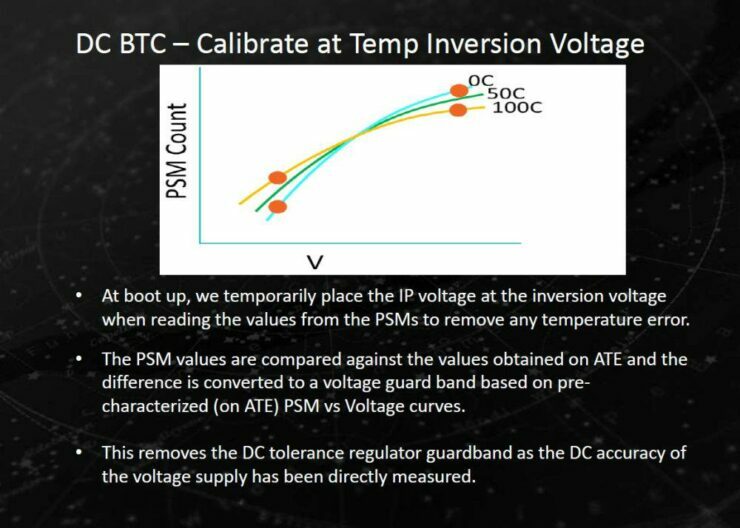 One of the main changes that Bristol Ridge brings to the notebook market is a new memory controller. 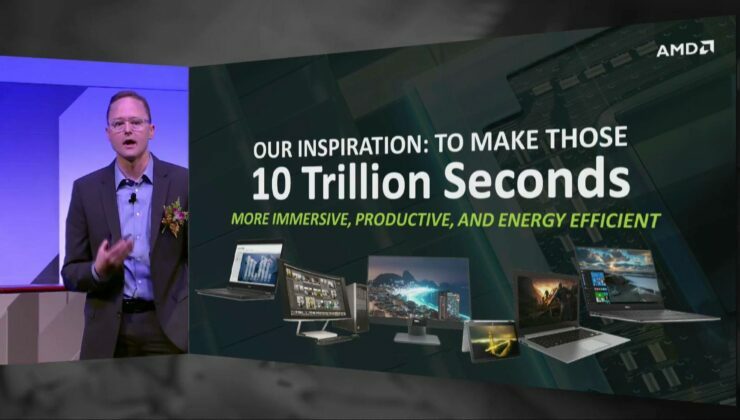 While Carrizo supported DDR3L/LPDDR3 memory types on the notebook side, Bristol Ridge will feature an improved DDR4 memory controller making this the first AMD notebook series to support the new memory standard. The Intel Skylake generation of processors unveiled in Q3 2015 already feature support for DDR4 memory on both notebooks and desktops. 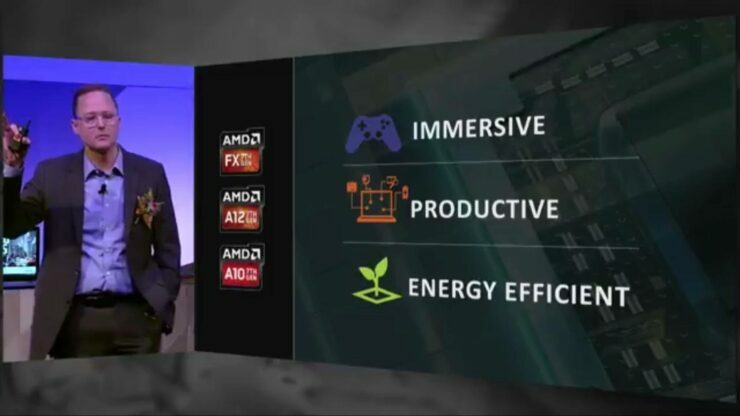 AMD also had DDR4 support for Excavator based APUs and chips on the embedded market but this is the first time they will be bringing DDR4 to the mobility sector. 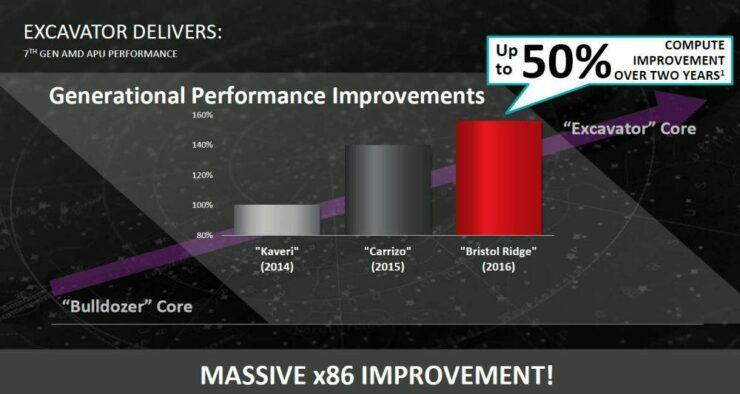 The Bristol Ridge slides which AMD is sharing today shows a 7th Generation Bristol Ridge APU which we know as the FX-9800P being compared to a 6th Generation Carrizo FX-8800P APU. 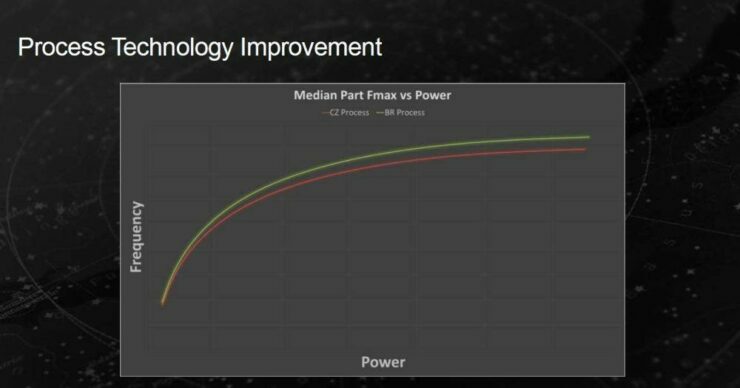 According to the first slide, AMD Bristol Ridge APU delivers up to 37% increase in graphics performance in synthetic and gaming benchmarks. This is a really good increase that’s not only being provided by higher clock speeds but also an updated GCN architecture that is featured on the Bristol Ridge APUs. We mentioned about several key technologies that have been incorporated in Bristol Ridge to make these APUs more efficient than Carrizo on an existing process node. 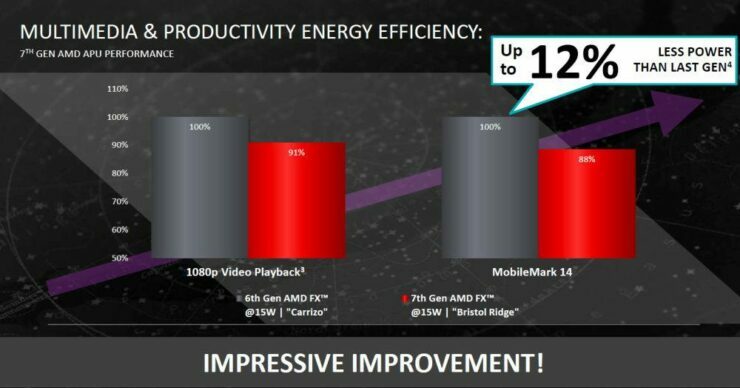 With these enhancements, AMD manged to extract 10 percent better IPC from their excavator cores compared to Carrizo APUs. 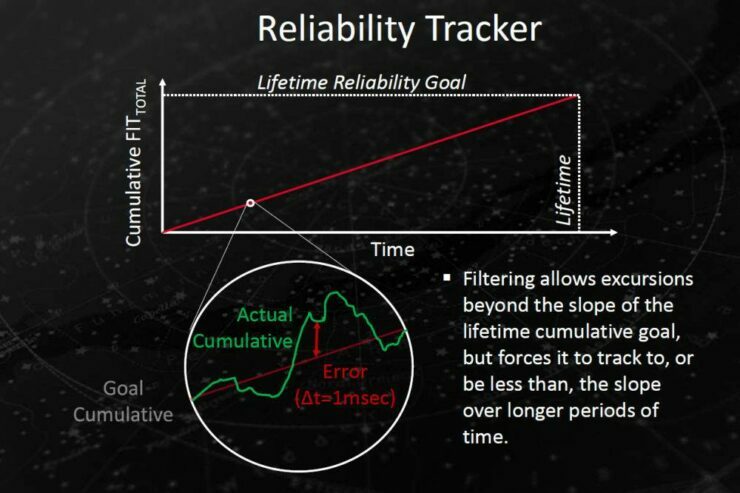 Compared to Kaveri, the total compute throughput has improved by 50%. 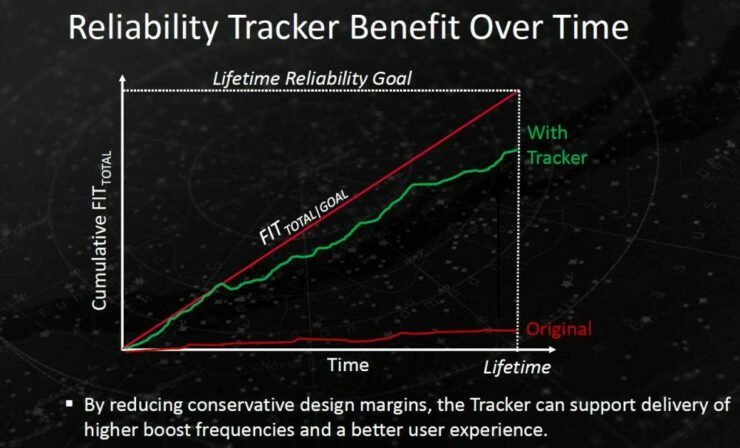 But better performance doesn’t mean that we would get lower battery times on new products. 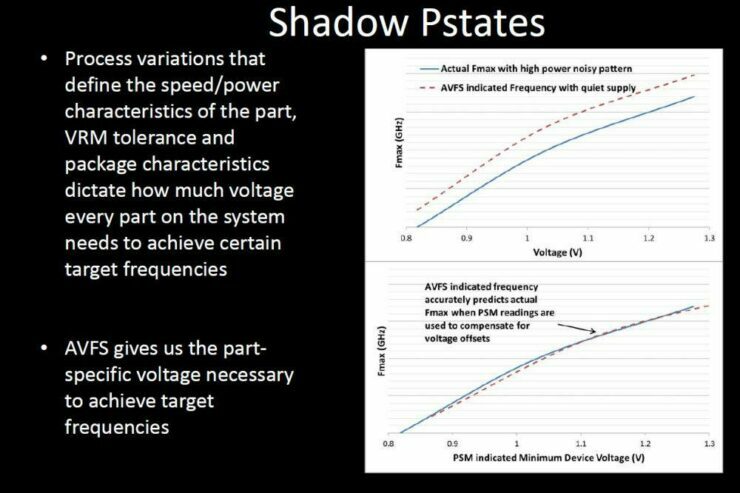 AMD actually managed to cut off power consumption by 12% solely due to the the frequency at which it takes to complete these tasks. 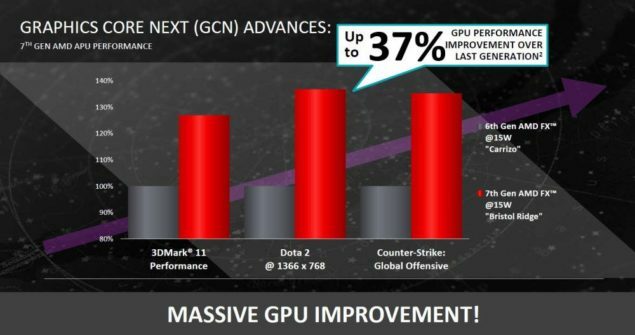 Both Bristol Ridge and Carrizo APUs are based on a 3rd generation GCN architecture (GCN 1.2) which is the same version incorporated on the Fiji and Tonga GPUs. 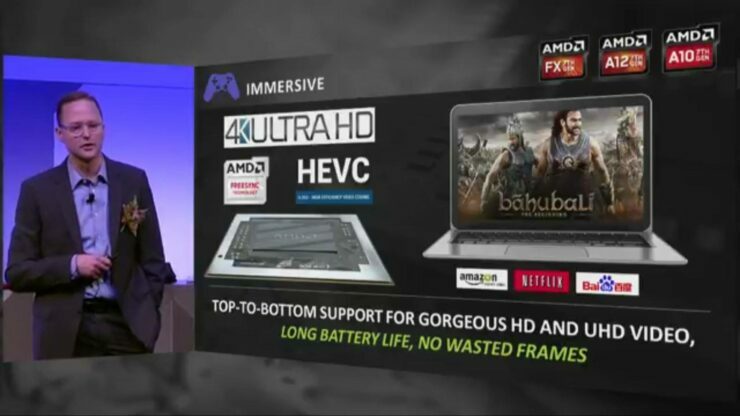 Both APU families have full support for DirectX 12, provide great audio, UVD, VCD, DCE features and support Dual Graphics, Panel Self Refresh, Dynamic Bezel Adjust along with the ability to run up to 3 simultaneous displays. 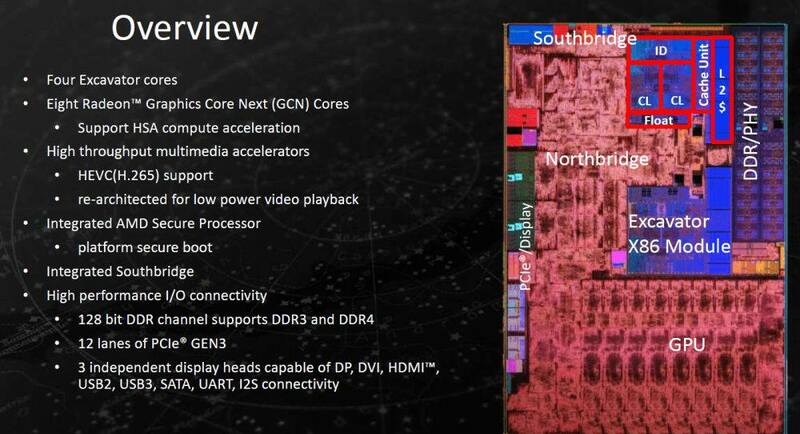 The Bristol Ridge APUs will feature up to four x86 Excavator cores with 2 MB of shared L2 cache. 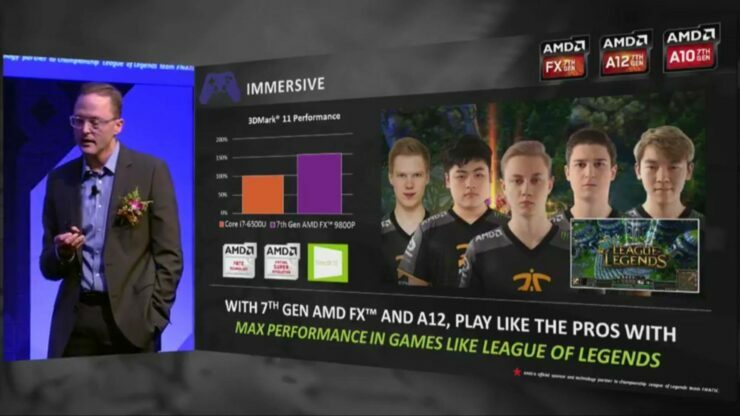 They will have support for HSA compute acceleration and the latest DDR4 memory standard. 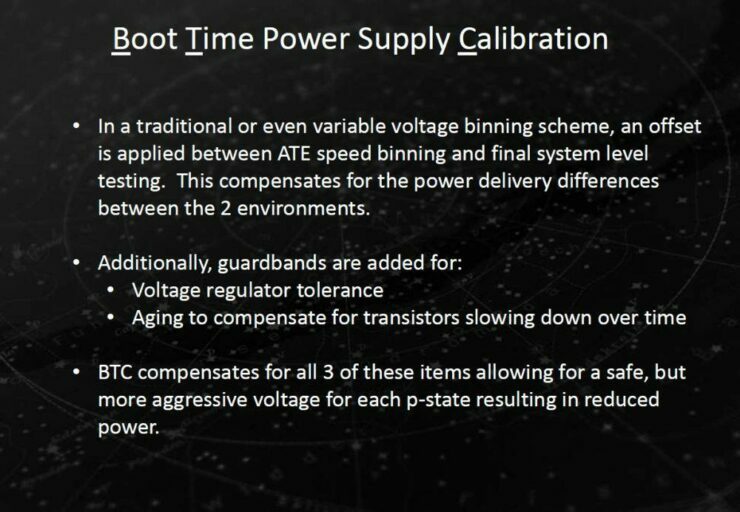 The Excavator core ensures better IPC (Instruction per clock) versus previous generation cores. 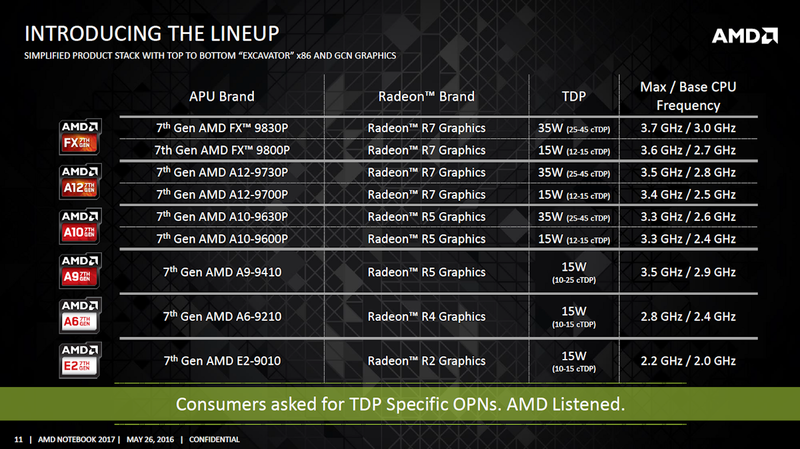 AMD Bristol Ridge A-Series APUs also come with built-in, high throughput media accelerators for HEVC (H.265) support. These also allow for low power video playback. All Bristol Ridge APUs feature 12 PCI-e Gen 3.0 lanes along with connectivity controllers that include DP, DVI, HDMI, USB2, USB3, SATA, UART and I2S.